Glade has come out with some new products and I couldn't be more excited. 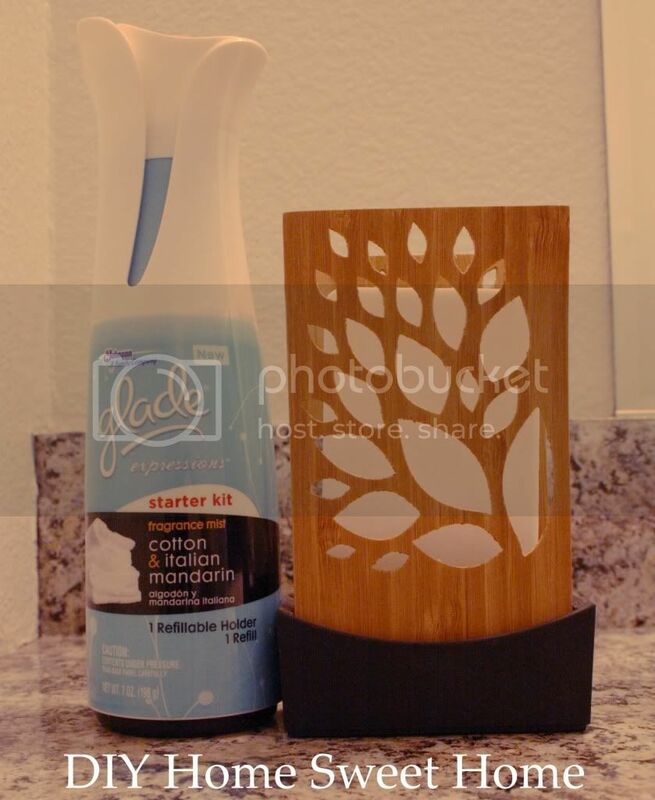 I was lucky enough to get the chance to review one of their new Glade® Expressions™ fragrance mist as well as an new Glade® Expressions™ oil diffuser starter kit. The Fragrance Mist I received was cotton and italian mandarin scented. I loved the long lasting scent but the best part is the sleek design of the fragrance holder that compliments any home decor. No more ugly spay cans sitting in the bathroom. Once you use up all of the fragrance you can just pop it out and buy a new refill or just keep a few different scents on hand to change things up a bit. The oil diffuser was probably my favorite out of the two. I received the pineapple and mangosteen scent and my husband actually loves it (this is amazing because it is so hard to find candles and room fresheners that he actually likes). The fragrance lasts 30 days and does not require electricity. Click HERE to view the fragrance guarantee form. What I love about it is how amazing it looks in our bathroom. 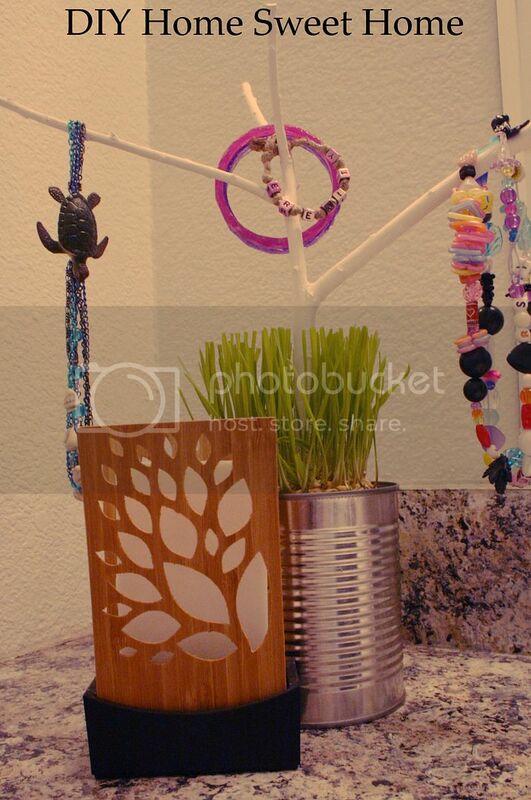 The bamboo design looks fabulous next to the necklace holder I made for my girls. The best part it that when curious little fingers get a hold of it, I don't have to worry about it spilling all over the place (trust me, this thing has been shaken, turned upside down and knocked on the floor a few times and not once did it leave a mess) It's the perfect solution for our kids bathroom which also doubles as a guest bathroom when company comes over. Glade is also giving away a $50 walmart gift certificate. 2. Leave a comment on this blog posts stating which Glade Expressions product (and desired scent) you would purchase if you win the gift card. 3. Send a tweet with the hashtag #GladeExpressions linking back to the post you saw the contest mentioned on. Be sure to get the $1.50 gift certificate that can be used at walmart. I want to try the Lavender & Juniper Berry oil diffuser! 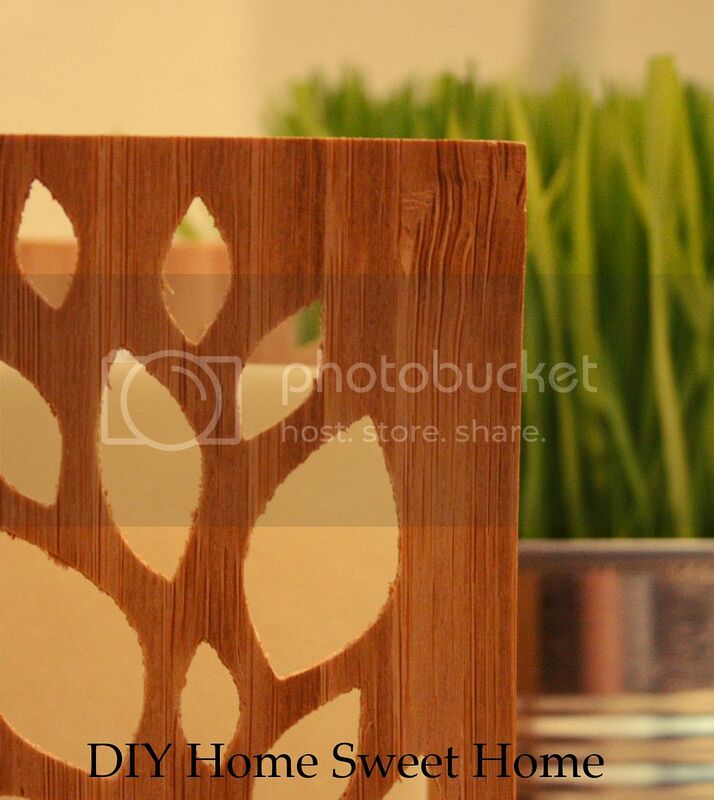 I would pick the oil diffuser in Fuji Apple and Cardamom Spice...i love those combination of scents! Fuji Apple and Cardamom Spice with oil diffuser! Cotton & Italian Mandarin would be my choice! I'd like to try the Fuji Apple and Cardamom Spice fragrance mist. I like the lavender and juniper berry oil diffuser.